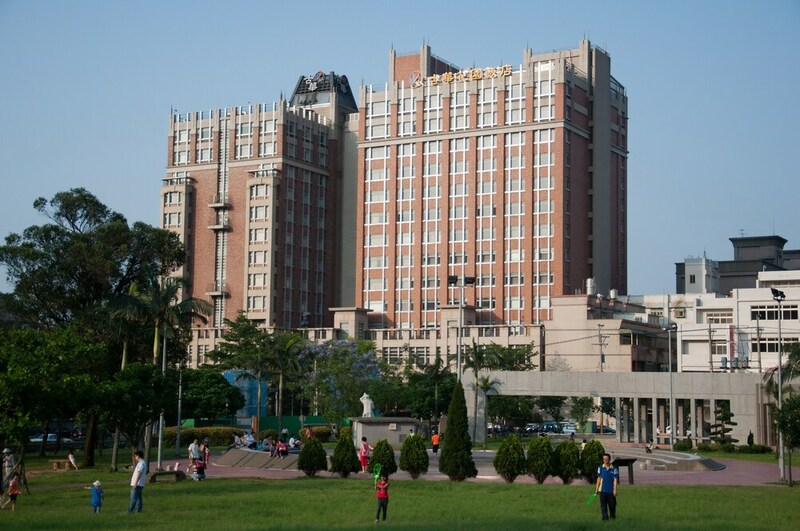 Located in the heart of Jungli, this hotel is 2.8 mi (4.6 km) from Taoyuan International Baseball Stadium and within 6 mi (10 km) of Gloria Outlets and Kuo Yuan Ye Museum of Cake and Pastry. White-Wood House Brand Discovery Gallery and Wei Chuan Pushin Ranch are also within 6 mi (10 km). Huanbei Station is 9 minutes by foot and Zhongli Train Station is 24 minutes. Along with 3 restaurants, this smoke-free hotel has an outdoor pool and a health club. Free WiFi in public areas and free self parking are also provided. Additionally, a bar/lounge, a coffee shop/café, and a spa tub are onsite. All 255 rooms boast deep soaking tubs and offer free WiFi and flat-screen TVs. Other amenities available to guests include free wired Internet, refrigerators, and room service. In addition to an outdoor pool, Hotel Kuva Chateau provides a health club, a spa tub, and a sauna. Dining is available at one of the hotel's 3 restaurants and guests can grab coffee at the coffee shop/café. A bar/lounge is on site where guests can unwind with a drink. Public areas are equipped with complimentary wired and wireless Internet access. A business center is on site at this 4-star property. This business-friendly hotel also offers tour/ticket assistance, coffee/tea in a common area, and concierge services. For a surcharge, a roundtrip airport shuttle (available 24 hours) is offered to guests. Limited complimentary onsite parking is available on a first-come, first-served basis. Hotel Kuva Chateau is a smoke-free property. The Vivid Western Restaur - This restaurant serves breakfast, brunch, lunch, and dinner. Reservations are required. Tangs Chinese Restaurant - This restaurant serves lunch and dinner. Reservations are required. Great Kuva Thai Restauran - This restaurant serves lunch and dinner. Guests can enjoy drinks at the bar. Reservations are required. Rollaway/extra beds are available for TWD 1000 per night. Guests must contact this hotel in advance to reserve a rollaway/extra bed. please contact the property using the information on the reservation confirmation received after booking. This property offers transfers from the airport (surcharges may apply). Guests must contact the property with arrival details before travel, using the contact information on the booking confirmation. The seasonal pool will be open from June to November. Some facilities may have restricted access. Guests can contact the property for details using the contact information on the booking confirmation. Parking height restrictions apply.